A person can vote for Oakwood once each day. Voting ends April 15. The announcement will be made on May 3. This year, we are doing even more to increase the number of grants offered to HBCUs by creating an additional Tier II Grant award in the amount of $10,000, for a total of 12 Tier II Grants. We will continue to award the $50,000 Tier I Grant and the $25,000 Campus Pride Grant. Fourteen grants totaling $195,000 will be awarded this year! Tier I and Tier II Grants will be awarded based on a ratio of consumer voting and advisory board panel selection. The application with the highest score will be awarded with the Tier I Grant ($50,000 level funding); twelve (12) subsequent applications will be awarded Tier II Grants ($10,000 level funding). This year’s Campus Pride Grant will award $25,000 to the school that has the most votes and social media activity, as assessed by The Home Depot. Oakwood University states it plans to use any winnings for the following two projects. Major Project: Oakwood University will build an outdoor pavilion, equipped with outdoor kitchen appliances, grills and fireplaces. 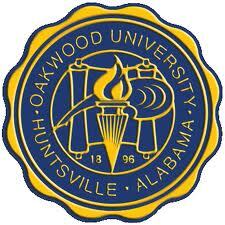 Minor Project: Oakwood University will use the Tier II grant funds to install sprinkler systems for its softball and football fields and to re-seed those fields.